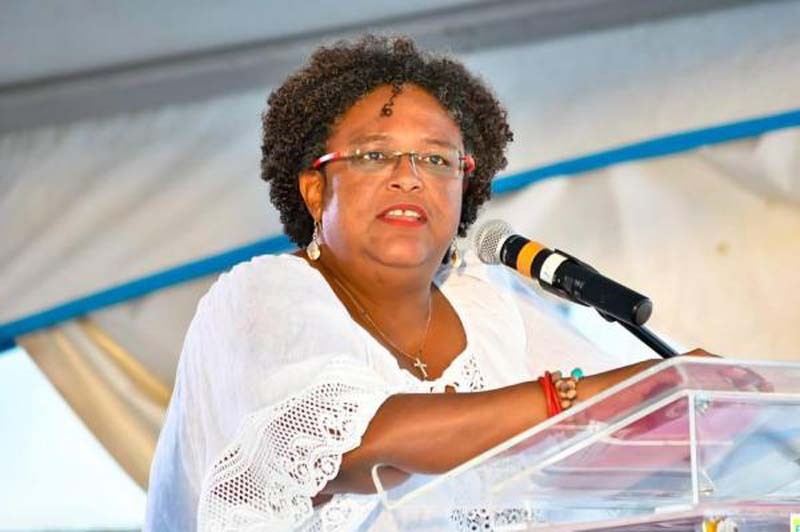 A day after her party won all seats up for grabs in Barbados' general election, Mia Amor Mottley was sworn in Friday as the country's first female prime minister. Outgoing Prime Minister Freundel Stuart conceded defeat in the election. Mottley, 52, leader of the Barbados Labour Party, is the country's eighth prime minister. She took the oath of office before Governor General Sandra Mason and was surrounded by family, friends and party supporters. The swearing-in came about eight hours after the BPL won all 30 parliamentary seats on the ballot Thursday. Following her party's victory, Mottley said she wanted to thank the voters for doing "what is best for Barbados." Mottley was also the first woman to be appointed the country's attorney general and minister of home affairs in 2001. Two years later, she served as the island's second female deputy prime minister, and was chosen as the BPL party leader in January 2008. Dale Marshall, an attorney and member of parliament for St. Joseph, also took the oath of office as Attorney General. After the ceremony, they departed for the first official meeting of the new government to start the people's business as a matter of urgency. Mottley is expected to name her Cabinet over the weekend.